DESIGN UNLIMITED is a collaboration of Madelon with experienced professionals to realize a total project together. The partners include furniture makers, project leaders and technical draughtsmen. They will work on Madelon's designs. Making quotations, confirming agreements and invoicing is done by their own company. In this way we keep the lines short and the cooperation transparent. Madelon monitors its designs throughout the entire process and is therefore always present at construction meetings. And during the construction process Madelon frequently runs on the project to see if everything is correct and if it is built according to her high standards. In this way Madelon and her team make sure you don't have to worry about anything. Not about planning, budgets or moving. Everything is taken care of down to the last detail - according to your wishes. During an extensive and personal conversation we will map out which style suits you and which interior needs you have. What are your personal wishes and expectations? How do you see the cooperation and where are the interests? What are the requirements for the project? Subsequently, Madelon makes a quotation for the assignment that can vary from colour advice to the turn-key delivery of a total project. The designs are drawn by hand at the office in Reeuwijk, but can also be supplied as 3D visuals if necessary. 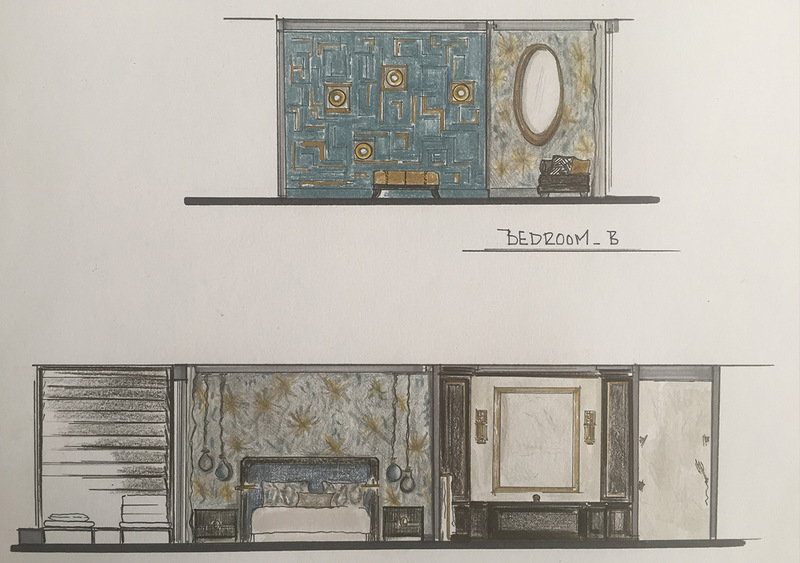 Madelon's designs consist of both the layout of the floor plan and the creation of an electrical plan, as well as the composition of a complete interior with fabrics, colours, furniture and art. Madelon designs according to the wishes of the customer and is familiar with the high standards of her clients. The partners of Design Unlimited know this and have the same quality requirements. STUDIO MADELON DESIGN is the creative heart. This is Madelon personally with her designs, ideas and 'work in progress'. To follow via the website and via instagram account @madelondesign. From the handmade drawings, the specialists can get to work. Furniture and fabrics come from all over the world. Always looking for the right lamp or chair, but also art and objects are important to keep the interior personal and contemporary. That is why the client is regularly asked to share ideas, personal items and objects. The frequent use of fabrics, passementery and colour has now become a signature of Madelon. 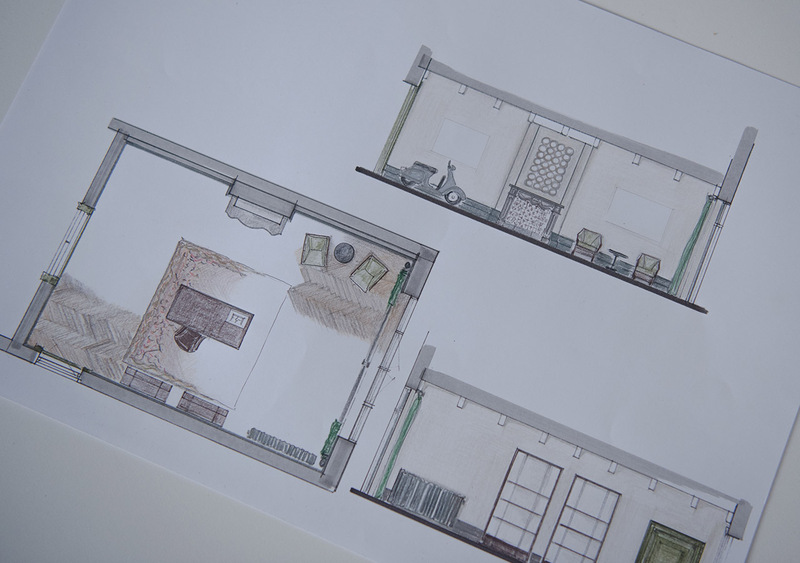 Design for one of the apartments of the Bayhouse in Rotterdam. From the floor plan a view is set up on scale, after which the already selected furniture is placed in it. In this bedroom a spacious walk-in closet behind the designed custom made wall. The small green pouffe is also a design by Madelon. The adjoining bathroom is made of marble.